With a variety of ways to support our school, we have something for everyone willing to help. We appreciate each and every person who donates their time, money, or supplies to make our PTSA a success. 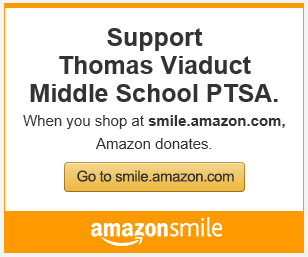 Purchase a membership to our PTSA. Volunteer at an event — even as little as an hour can make a huge difference! Need a reimbursement from the PTSA? Thank you for supporting our PTSA! Fill out this Reimbursement Request form and give it to the Treasurer along with your receipt(s). Please note: Reimbursement requests must be approved. Reimbursement are for purchases on behalf of the TVMS PTSA such as items for Sunshine Families or other TVMS PTSA related events/activities. Prior approval can be requested by submitting your inquiry to tvmsptsa@gmail.com. Thank you for your support!